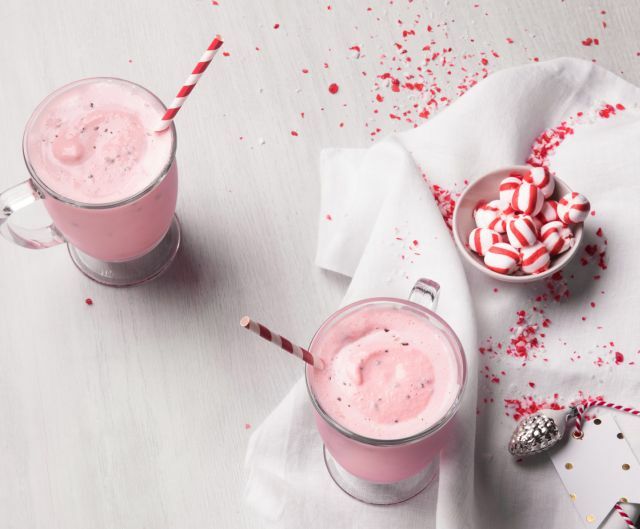 The Peppermint Chocolate Chip Shake makes its annual return to the Chick-fil-A menu for the 2018 holiday season. Available for a limited-time through January 5, 2019, the festive shake features the chain's signature Icedream vanilla soft serve blended with peppermint syrup and chocolate chips and then topped with whipped cream. Prices for the shake starts at $4.09 here in Southern California (may vary) for a small. In case you're curious, Chick-fil-A revealed that, last year, the Peppermint Chocolate Chip Shake was most ordered (as a percentage of sales) in Erie, Pennsylvania (with Lansing, Michigan coming in second).